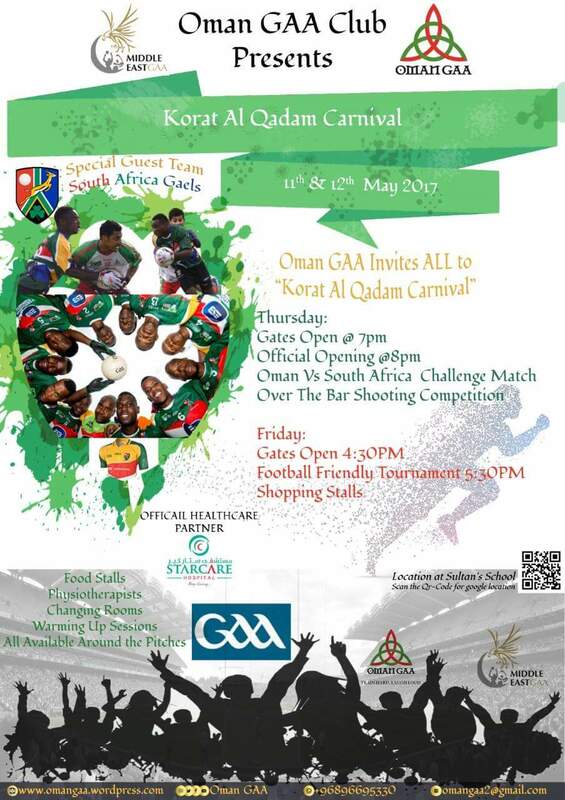 The Oman GAA Club are throwing a festival this coming Thursday and Friday. 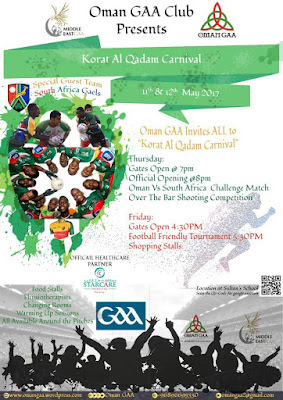 On Thursday the gates open at 7pm with the highlight of the night being a challenge match between Oman and a visiting team from South Africa. On Friday the gates open at 4:30pm with a friendly tournament happening at 5:30pm and a number of shopping / food stalls available too. It's all being held at the Sultan's School.